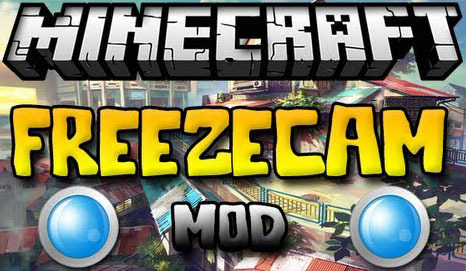 With FreezeCam Mod, you can go into a fixated third person view, and watch yourself move. You can do everything just as you could in first person, but you can see yourself from a distance moving. There are plenty of settings to configure this mod the way you like it. This mod also, as a bonus, allows you to create statues of anyone you can think of. You can also move them by clicking there name and then the controls on the screen, add arrows in there body’s, sneak and sleep. The Set view button sets your view temporary to your statue, so you can see what he see. When you are in game, you can rightclick the statues to remove them. They can be handy. This is in the FreezeCam.cfg file that is in your Config folder. The first option Disable fire and water/lava Events is on the screen. This option will disable the screen coloring when you jump in water or lava. When you on fire, no fire will be on your screen. The second option is Override functions. If you set this option to false, then it will also disable the first option. If this is true, then you will also able the hit mobs, place and break blocks.